The story begins in 1976, when we acquired our first Boxer. 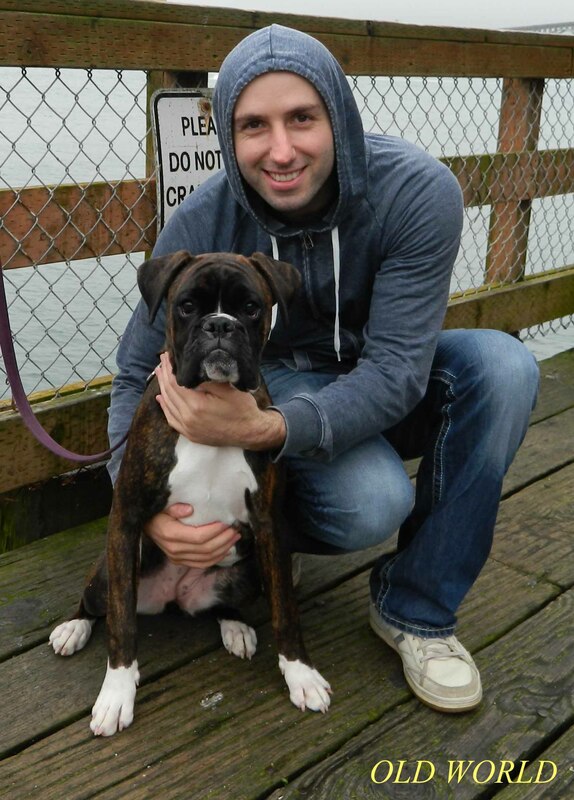 Our education had begun, and this was the beginning of a long and great relationship with Boxers. One of the finest Boxers I have ever been associated with, Andy, will always hold a special place in our hearts. 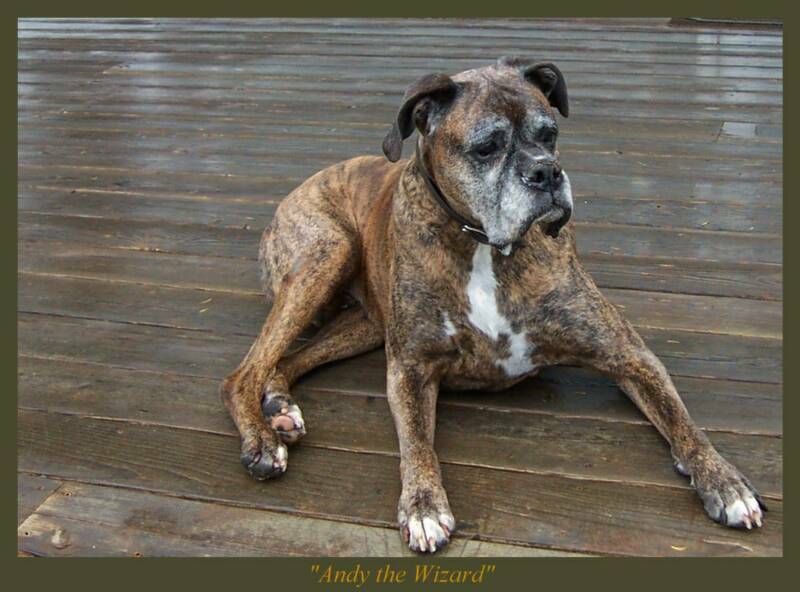 Andy, is one of many that helped me take my working relationship with Boxers to a higher level. I have been fortunate to work with some very intelligent Boxers through the years. 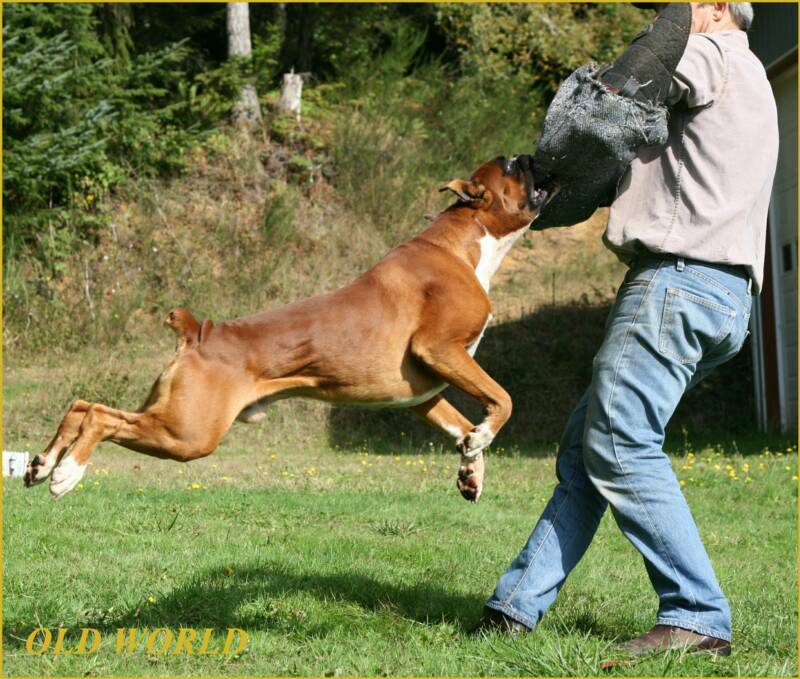 German breed originators have written about the early Boxers and their unmistakable and great character traits. Almost wizard like, these are very intuitive dogs. These Boxers exhibit all of the working traits that breed founders incorporated in the original standard. After many years with Boxers, we began to import Boxers from Europe for the foundation of our line. We have worked very hard to bring some fine Boxer examples to the USA. Along the way, friendships have been formed with Great Breeders in Europe. 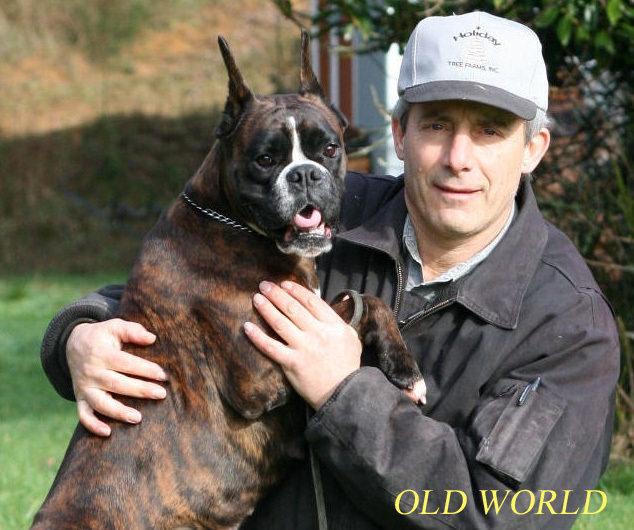 We have a great deal of respect for the originators of the breed, and choose to breed as close as possible to the original Boxer standard, Boxers that are beautiful and conform well, but also have the frame and temperament needed for work. It is our belief that we can have Beauty, health and temperament in one complete package. Our training area, located in Oregon USA, covers 5 ac. and includes a swimming area. 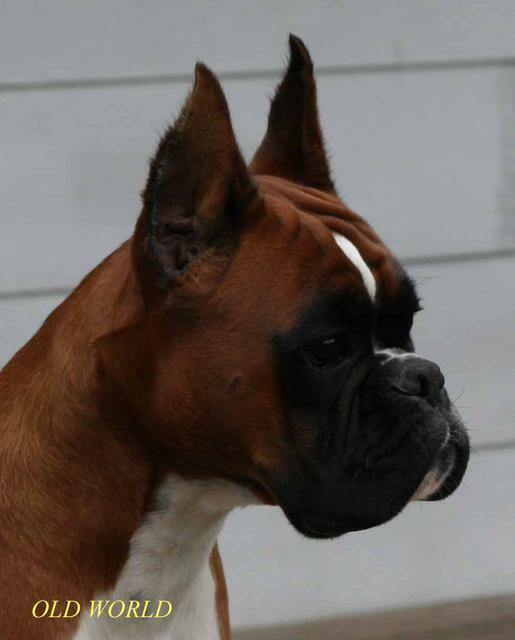 We can not thank Alessandro and Tommaso Tanoni enough for this magnificent Boxer. We call Talo "The Thinker"
Dustin with Saia of the Old World @ 7 mos. Very close to the family, and the best of playmates for children, our Boxer today is a steady, confident friend. Known as one of the most beautiful races around the world, he is held in very high regard for companionship, protection, and ring sports of all types, due to his/her particularly balanced character. Chosen and raised correctly, he is an all giving addition to the Family, with a heart of gold. Boxer Superstar, "Zenobia di Soragna"
Zenny and I have a very close bond that started the moment she arrived in the USA. ​Thank You Fabrizio Chiarli for sending this once in a lifetime Female to us, Zenny is on a different level. Fabrizio Chiarli, our Italian Friend, and Professional Trainer. 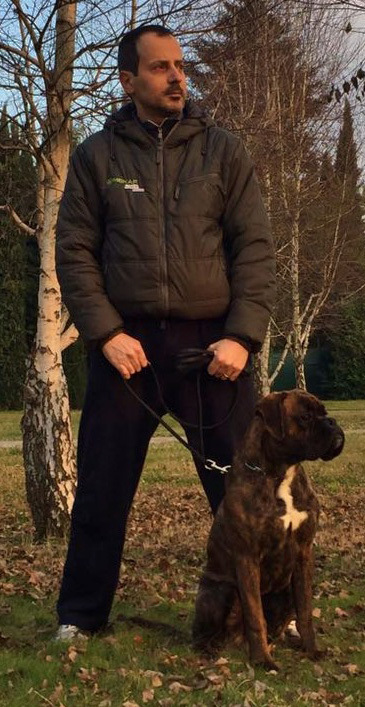 We Thank Fabrizio for sharing his Great Boxer knowledge with us and helping us to bring two tremendous Boxers to our Kennel, Zenobia di Soragna and Erosprincipe.